Because everyone needs some well-deserved shut-eye. I’m not alone. 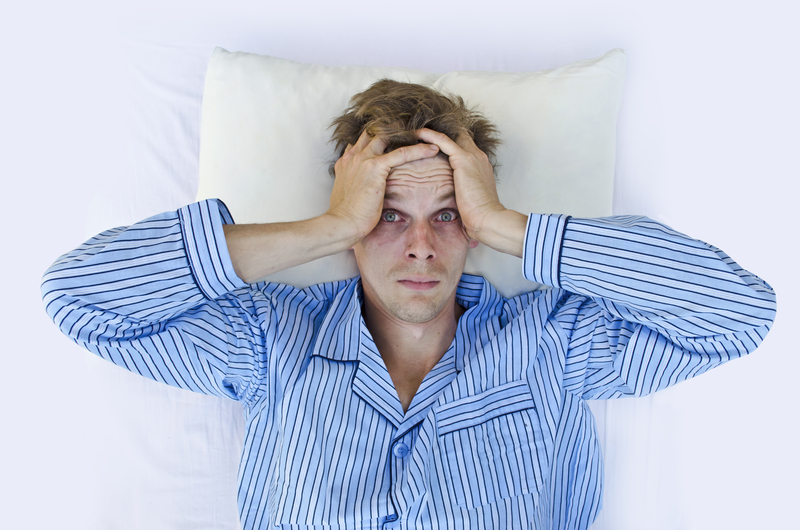 Restless nights spent struggling to sleep are an age-old problem. The earliest cavemen probably tossed on their rocks, and even the richest among us lay exhausted (yet awake) on their 100% cotton sheets. But when a few nights of restlessness become a never-ending half-slumber, insomnia can wreak havoc on the human body — and the brain. Just because you’re not lying in bed at night staring at the ceiling doesn’t mean you won’t benefit from a medical or psychological consult. Your insomnia might be chronic if you can’t fall or stay asleep more than three times per week for longer than three months, or it may be a temporary affliction, which is often caused by stress. You might find falling asleep impossible, or perhaps your challenge is the staying asleep part. No matter how your insomnia presents, you’re not alone. Approximately 30 percent of adults grapple with sleep-related issues at any one time, and 10 percent experience daytime impairment or distress. While your first stop should be at the doctor — a variety of medical conditions can cause insomnia, including asthma, acid reflux, and hyperthyroidism — many times, insomnia is just one of the negative results of our endlessly busy, endlessly stressful modern lives. And not getting enough sleep can negatively impact both physical and mental health. “But I’m not stressed!” you might be thinking. I am perfectly handling a full-time job and a side venture and two children! Assuming you’ve ruled out a medical cause, consider the possibility that you are, in fact, stressed. Possibly very stressed. “If you are laying in bed and unable to quiet your thoughts, there likely is a root issue of stress,” said Rausch. What thoughts are rushing through your brain? Are you worried about work, or about your children, or about an upcoming life change? Pinpointing your stressor can provide one avenue to relief. But perhaps your stressors are more general. If you can’t identify a single topic of worry, you might be dealing with a more serious mental health concern. “Are you worrying about the future?” asked Rausch. “That could be a symptom of anxiety.” Its opposite — ruminating on the past — might indicate depression. But even the best therapy won’t eliminate your insomnia overnight. Here are four tips to help get some shut-eye even when your mind is churning. 1. Create a sleep hygiene routine. Help your body prepare for bedtime by “doing the same things in the same order,” said Rausch. Brush your teeth, turn off the lights, take a hot shower, meditate for 10 minutes, then sleep — or whatever routine makes you feel satisfied and comfortable. Soon, your body will start moving into sleep mode as soon as you begin your routine. 2. Write down your worries. Mind racing with thoughts and concerns? Find a pen and paper, turn on the lights, and take notes. “Get up for 10 minutes and write down everything on your mind or on your to-do list, then set it aside and return to bed,” said Rausch. When those thoughts pop up again, they’ll be easier to dismiss — tell yourself, “I have already thought about that, have written it down, and will revisit it tomorrow,” she advises. Meditation and mindfulness might seem like scary words if you’re not used to being quiet with your thoughts. But when sleep is elusive, meditation can be the best cure. Start slow: Breathe in for five seconds, hold your breath for three more seconds, then slowly exhale for another five seconds to center yourself. That’s it! “Slowing the breath will calm the body and disarm that fight or flight response,” said Rausch. Focus on the rise and fall of your stomach — not your chest — and visualize a beautiful, fenced-in safe space, like a garden or private beach. All of the anxious thoughts stay on the other side of the fence, letting you sleep. 4. Fix your sleep environment. Even if you’re not struggling with insomnia, creating an ideal sleep environment is key to restful nights. Good sleep relies on four essential elements: light, movement, temperature, and sound. That means blackout curtains, chillier temps, snuggly blankets, quiet (or relaxing noises, like rain, if that’s your jam), and — sorry, Maggie — no rogue animals stealing your sleep. Once you’ve created an oasis of calm in your bedroom, expect to see your sleep quality skyrocket. But keep in mind that these physical adjustments alone may not be enough to still your mind entirely. Focusing on your mental health and learning to quiet your thoughts with the guidance of a therapist can help turn your nighttime hell into heaven.